Razer and Logitech dominate the shortlist. After researching more than 60 gaming mice, testing 12 with the help of four panelists, and playing over 50 hours of Overwatch with them, we've concluded the Razer DeathAdder Elite is the best gaming mouse for most people. Our panel testers preferred the DeathAdder Elite for its simplicity and its comfort through extended gaming sessions, which isn't surprising considering previous models of the DeathAdder have been our picks for years. Comfort: Whether or not a mouse feels good in your hand is the most important feature. Buttons: We focused on mice with fewer than 10 buttons. Sensor: We looked for modern sensors, including the Pixart 3360 and its variants, all of which have at least 12,000 DPI resolution. Software: Most gaming mice come with software suites to assign keystrokes and macros, tweak its sensitivity, and customize its lighting. The software should support multiple profiles to match the game you're playing. Price: Half of our survey respondents said they'd prefer to pay between $51 and $75 for a gaming mouse, which happens to be how much a great gaming mouse costs. Performance: A wireless mouse should have no latency, interference, or lag, because if it does, there's no point in buying one for gaming. We looked for mice you can also use with a wired connection. 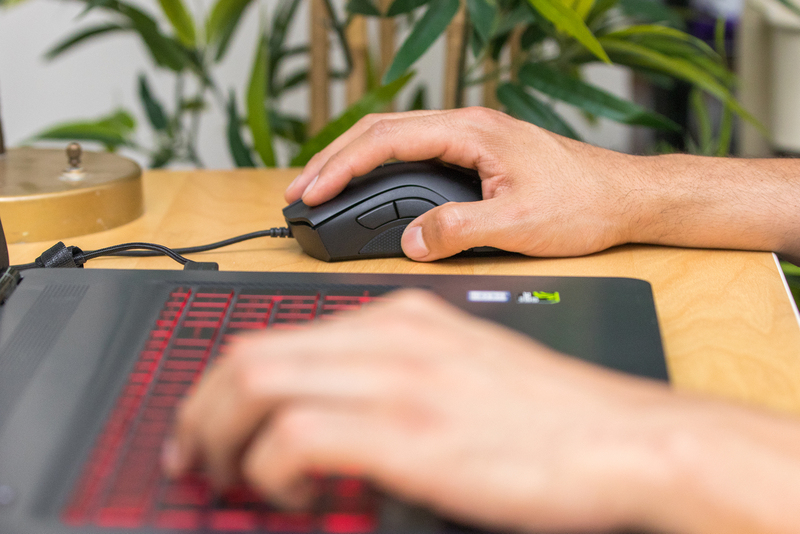 Battery life: Because of high polling rates and lighting effects, wireless gaming mice tend to have awful battery life compared with regular wireless mice, often peaking at just 25 to 30 hours. We read editorial reviews and forums and surveyed our readers to prune our list to eight wired mice and four wireless options. We ran each mouse through MouseTester to evaluate tracking speed, jitter and anti-jitter, polling rate, and sensitivity. Every mouse we tested passed these tests without issue. Then, we used each mouse to play several hours of Overwatch and Starcraft II. We also used each for work over several weeks. Finally, we asked a group of Wirecutter staffers and friends with a range of hand sizes and grip styles to evaluate the finalists. 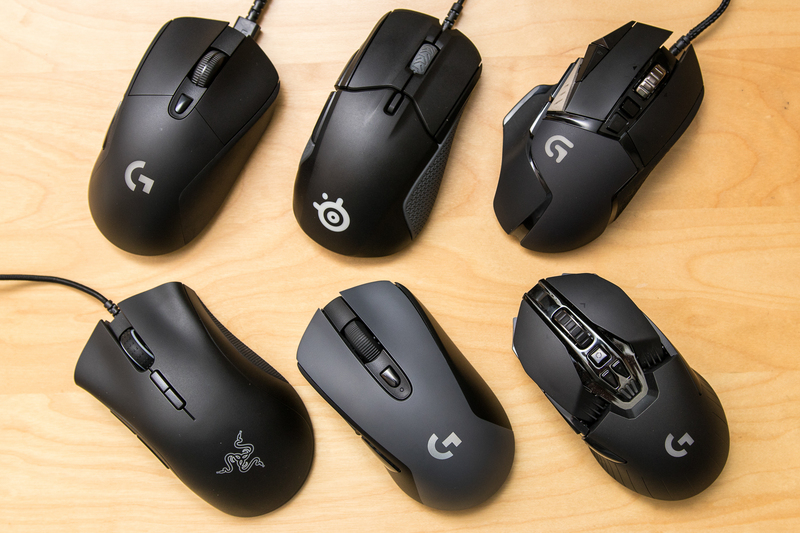 To read about our testing procedures in more detail, please see our full guide to gaming mice. The Razer DeathAdder Elite is the best gaming mouse for most people because it's comfortable for a wide range of hand sizes and grips, has seven easy-to-reach buttons and an accurate sensor, and has a simple, effective design. Razer's Synapse software is easy to use on both Windows and Mac (if a bit ugly), and it supports all the customization options you could possibly want. At 5 inches long, 2.8 inches wide, and 1.7 inches high, it's on the larger sizer of most gaming mice, but our medium- and smaller-handed testers didn't have any issues with it—in fact, it was the most universally liked option among our testers, who were able to find a comfortable position across all grips. It typically sells for around $55, well within the price range our survey respondents wanted to pay and in line with other models we tested. The Logitech G502 Proteus Spectrum divided our test panel. Three of the panelists loved it, and praised its comfort, button positioning, and its best-in-class scroll wheel. But two didn't. It isn't as comfortable for as many hand sizes and grips as our main pick—our small-handed palm-grip testers couldn't easily reach every button because it's a bit longer and wider than the DeathAdder Elite, at 5.2 inches long and 2.9 inches wide. The G502 has 11 buttons, four more than the DeathAdder, and offers adjustable weights. But its software is a bit quirkier and the lighting is less customizable than the DeathAdder's. 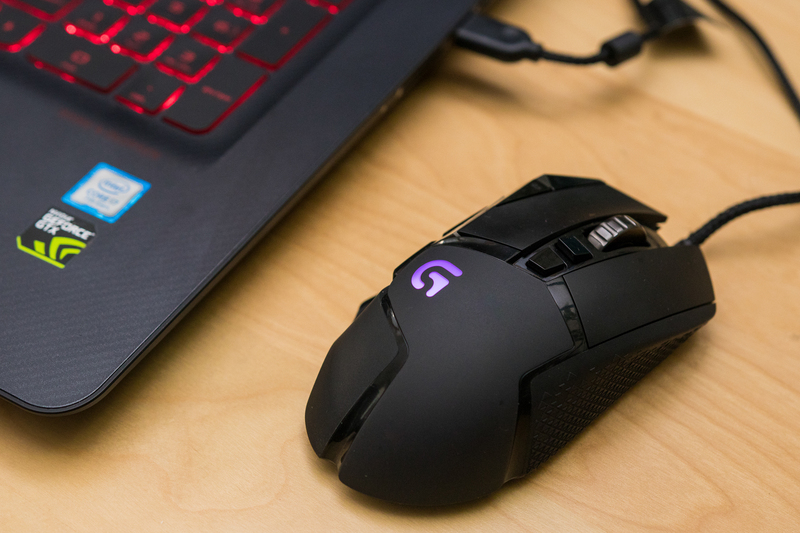 The Logitech G703 is the best wireless gaming mouse because it's as accurate as a wired mouse, it's the most comfortable mouse we tested, its six buttons are enough for most people's needs, and it's less expensive than the competition. 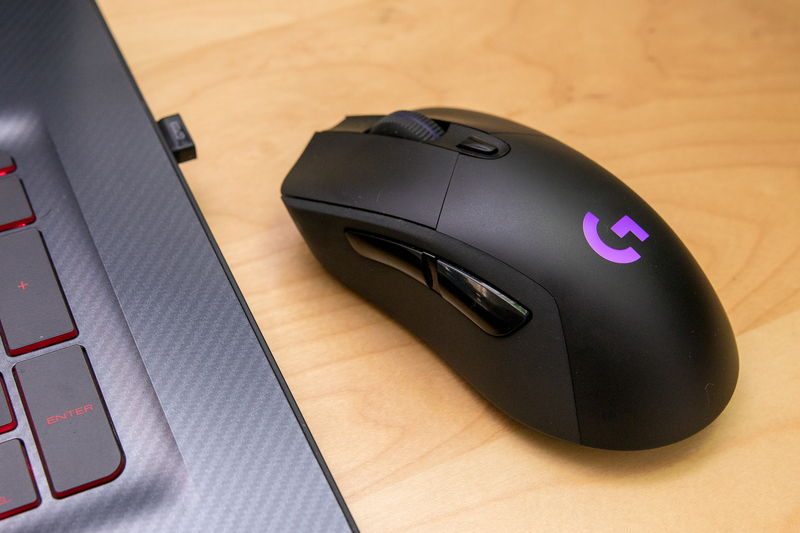 For a long time, wireless gaming mice were subpar due to latency and interference, but the Logitech G703 passed our sensor tests and we didn't experience any connection issues. The battery life, though not great, did hit Logitech's claims of around 25 hours, which is about as good as it gets for gaming mice. The G703 has the same great sensor as the G502, and you can turn down its polling rate to preserve battery. Our panelists were mixed on the comfort of the G703, but nobody outright hated it. 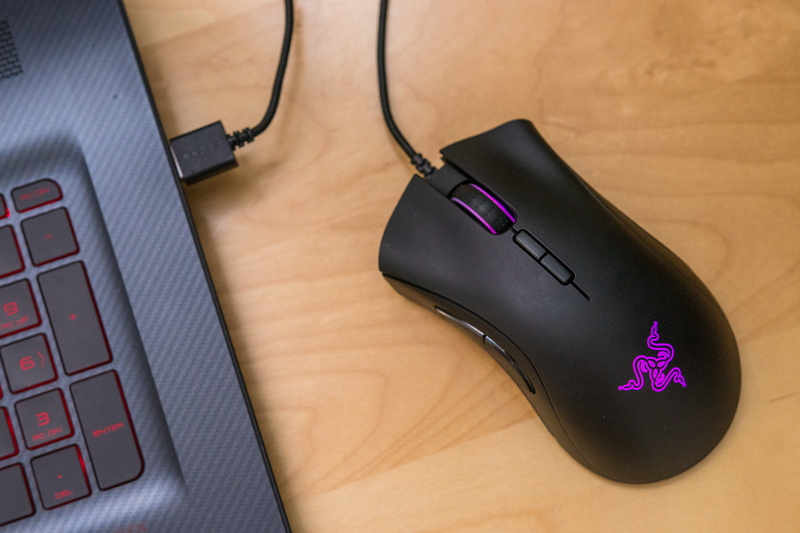 It's smaller than both the DeathAdder and the G502, measuring 4.9 inches in length, 2.7 inches wide, and 1.7 inches high.